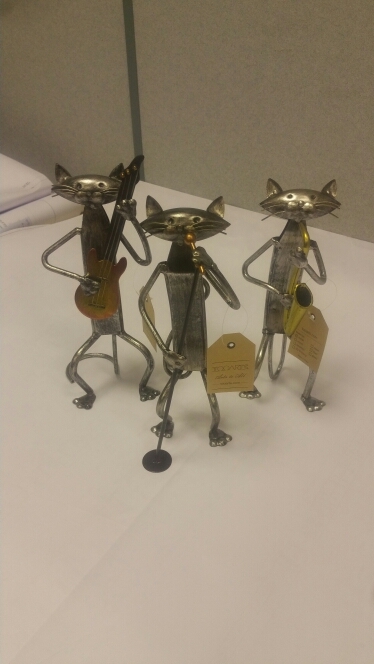 This is a collection of cat sculptures that are playing music together. 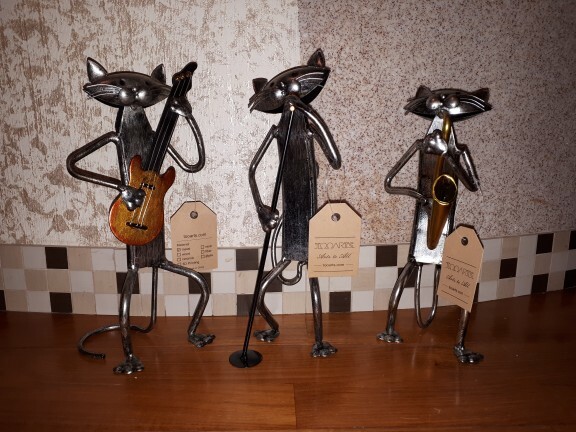 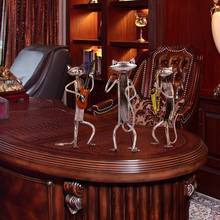 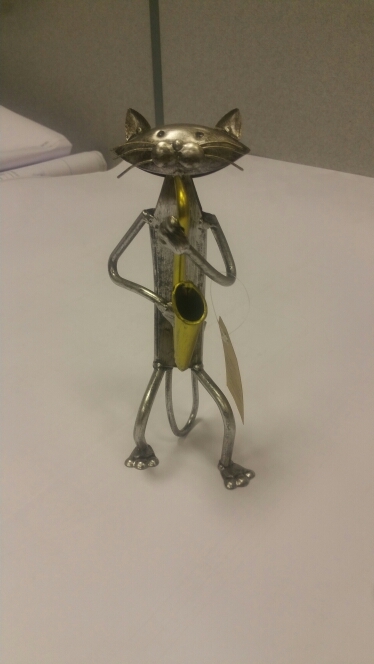 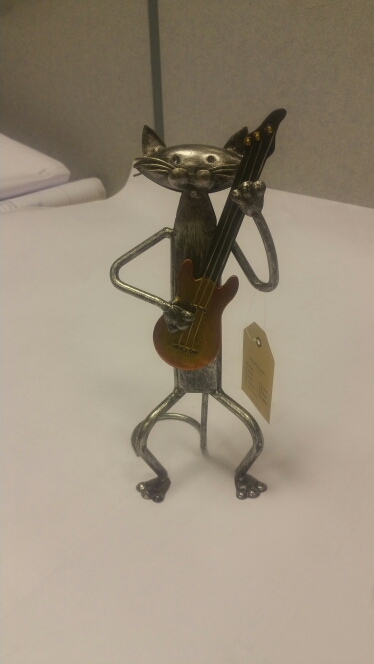 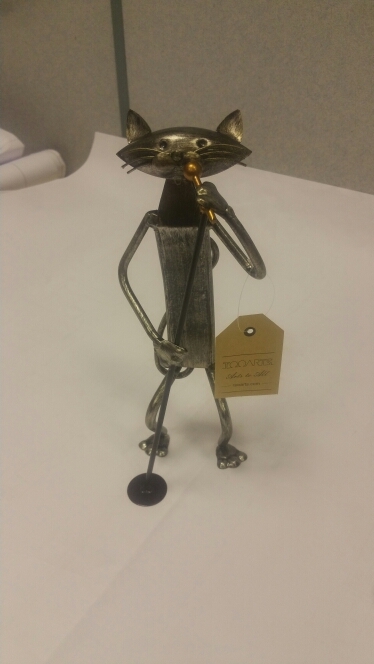 The band is composed of a guitar cat, a saxophone cat, and a lead singer cat, all are handmade by an experienced craftsman and have a unique and creative design. 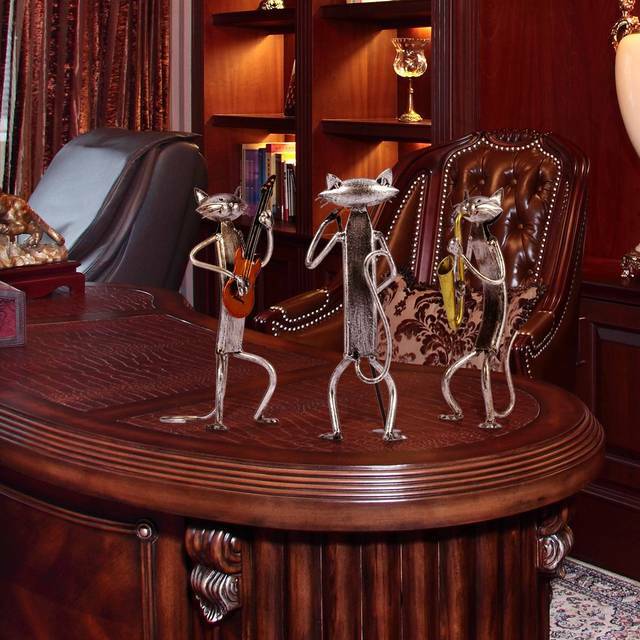 Look how concentrated and absorbed they are, you can even imagine the soft and pleasant music they are playing. 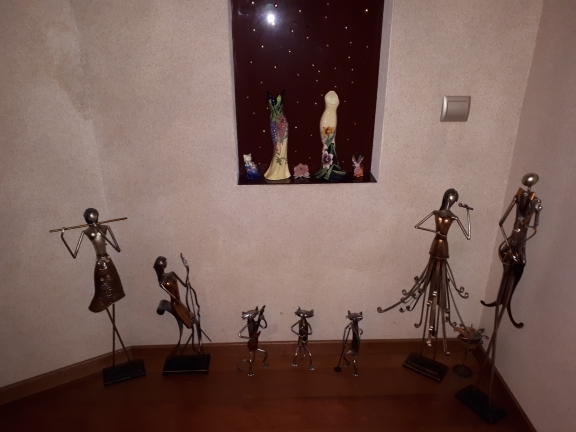 Why not take them all home, increase the artistic and musical atmosphere for your house and enhance the quality of your life.